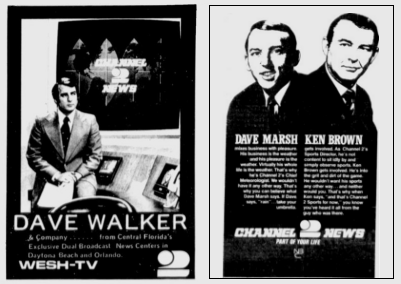 These 1975 ads for Channel 2 News with Dave Walker, Dave Marsh and Ken Brown are some of the many that have been added. Our Orlando TV ad section has grown, now with more than 600 newspaper advertisements for our local stations. Look at the Orlando TV ad section here. We’ve also divided the Orlando TV ad galleries by stations. Just scroll over the navigation at the top for WESH, WKMG, WFTV and WOFL to see their specific galleries. Wonder what was on Orlando TV in its early years? We’ve compiled sample TV schedules for the first 25 years of Orlando television, from 1954 to 1978. See the year-by-year Orlando TV schedules here. Miami is where television started in the Sunshine State, and there’s great history down south. Our gallery for South Florida stations has grown to more than 300 newspaper ads, going back to the start of TV there in 1949. See the South Florida TV ad gallery here. What about other nearby markets? We’ve started work on those and invite you to check out the Tampa Bay TV station ad gallery, with more than 80 ads so far. 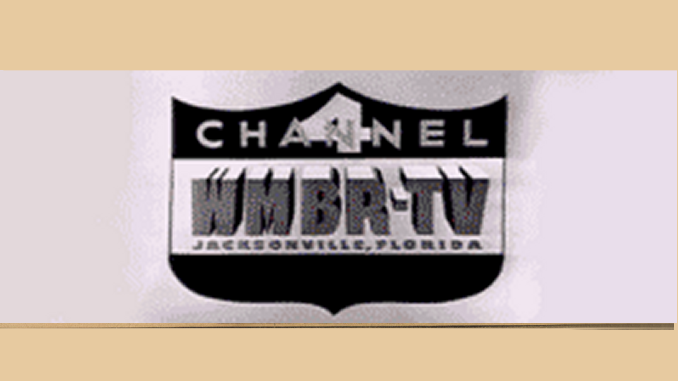 The Jacksonville TV station ad gallery is now also up, with some 20 images. You can access all of the above and more in our navigation at the top of the page. Just look under the “More TV” tab. And keep checking as we continue to add to all of those sections.